Electric vehicles are gaining popularity now as automakers produce more models and Tesla continues its rockstar status. But how long does it take to charge an electric car, and how much does it cost? Are all Tesla cars electric, and are all EVs really green? How long do electric cars last anyway? We cover it all here and help break it down, whether you’re buying an electric car or simply looking to learn more. Tesla is leading a powerful campaign to promote the electric car, encouraging the masses to step away from fossil fuel-powered vehicles. Furthermore, other automotive producers have joined in the trend and nowadays you have the possibility to buy electric vehicles from a plethora of producers, not just Tesla. However, given the fact that we are still dealing with a rather new concept, many people are still reticent to the idea. After all, you can find a gas station almost anywhere on the planet, but you’ll rarely find a charging station in a country where the infrastructure is not designed for this. So, before we decide if we believe that electric cars are the future of motorized transportation, let’s have a look at how it feels to actually own one. Unlike gas cars that only take a couple of minutes to fill up and go, an electric car can take from about 30 minutes and up to 12h to achieve maximum charge. The difference in charge time is set by the type of charger used and the type of battery your car has. Still, it is definitely a huge difference from what we usually do now, so it’s easy to understand why some drivers are not on board with the idea. However, the science is evolving and new technologies are being developed even as we speak, so we may see shorter charging times pretty soon. With the cost of fuel on the rise, and vehicles that are focused on fuel efficiency, it is more than natural to ask yourself this question. Of course, the answer cannot be exact, but depending on the capacity and type of battery and the charging station used, the cost of a full charge varies between $2+ and $17. It also depends on the cost of electricity in your area, but research shows significant savings for people who dropped the standard gas-powered vehicles in favor of electric ones. Furthermore, you can change your electricity plan in order to save more. Are all Tesla cars electric? Might seem obvious to most, but it’s a legitimate question especially for those new to the concept of fully electric vehicles. Tesla started following the idea of an electric car, so yes, all their vehicles are electric. Elon Musk (Tesla’s founder and CEO) wants to make the world a better place by slowly transforming the way we drive and the vehicles we use. Here’s a great, extensive feature on Tesla Motors, The Visionary Dream of Elon Musk [Futures & Risks]. But in all fairness, while Elon may have elevated the electric vehicle to rockstar status, EVs have been a focus for several other volume automakers as well from the beginning. The Nissan Leaf was one of the first and is currently the world’s best-selling electric car. JosÈ MuÒoz, Chief Performance Officer, Nissan Motor Co., Ltd. and Chairman, Nissan North America helps employees welcome the first all-new 2018 Nissan LEAF during an event at the Smyrna Vehicle Assembly Plant in Smyrna, Tenn. The 2018 LEAF, arriving at dealers in early 2018, has an improved range with up to 150 miles on a single charge and is the newest version of the best-selling electric vehicle in the world. Are all electric cars really green? There is a huge controversy going on right now, where the oil industry claims electric vehicles are not green at all. Given that their parts and batteries require oil-running plants to manufacture, some claim the process of making the cars is actually more pollutant that the entire gas-powered car industry. Still, when we check the numbers and studies, we learn that an electric vehicle is more efficient and requires less fuel to work. As a result, electric vehicles are responsible for fewer greenhouse emissions. Not to mention that, the fact that they don’t need to burn fossil fuel, reduces other chemical gases released into the atmosphere. there are electric cars that still use internal combustion as the main power source (a plug-in hybrid is a good example here), still, they are greener than a car that’s solely based on gas power. According to the latest studies, an electric car will only use two-thirds of the energy required by a gas-powered car to cover the same distance, so even if they are not completely green, they are greener than their fuel-burning counterparts. Finally, the question is not if electric cars are green, since each model is different. For instance, there are electric cars that still use internal combustion as the main power source (a plug-in hybrid is a good example here), still, they are greener than a car that’s solely based on gas power. Each electric vehicle can be more or less green by the way it uses electricity and how it is generated. How long do electric cars last? One of the main concerns when you decide to buy an electric is its range. But given that modern designs have gotten pretty good at this (Tesla Model S is good for about 315 miles), the next concern on the list is durability. Given that there are no oils to build up in time, the main problem is the battery. Like any other container that stores energy, the battery in an electric car will fade away in time. So how long can you expect the battery to last before you need to put in the money for a new one? This is different from model to model, but most producers will give you several years before you even have to consider a battery change. If the car is properly maintained, the battery should last you about 4 to 8 years (or the equivalent of road miles a regular car would make in this time). Also, all electric vehicles are sold with a battery warranty, so make sure to check the information there. To learn more about what materials and types of metals are used to make batteries for electric cars, how much batteries cost, and how long they last, here’s a great piece at Union of Concerted Scientists. Below, a closer look and forecast of battery production costs over the next 12 years. There you have it. 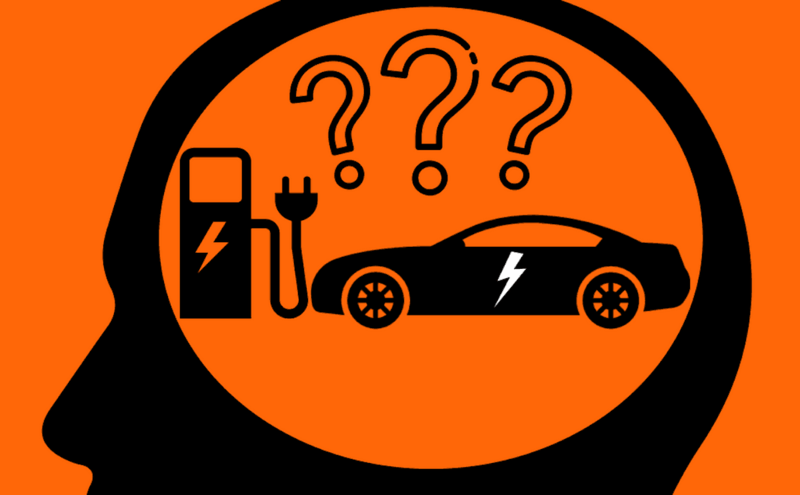 Whether you’re in the market for an electric vehicle or just looking to learn more, we hope this piece helped break it down by answering some of the more common questions.